Poll: Do you want there to be a general election this year? Two new opinion polls indicate that Fine Gael is the most popular political party in the country. TWO SEPARATE OPINION polls in the Sunday Times and Sunday Independent indicate that Fine Gael is the most popular political party in the country. Both publications report that support for the party has risen to 36%. The second most popular party, Fianna Fail, has 28% support in the Independent/Kantar Millward Brown poll and on 25% in the Times/Behaviour & Attitudes poll. 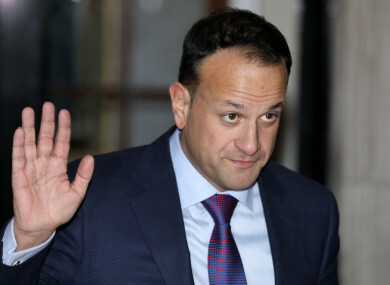 The polls also show that Taoiseach Leo Varadkar is the most popular leader of a political party. As Fine Gael widens the gap ahead of Fianna Fáil, there has been speculation that a general election will be called sooner rather than later. We want to know: Do you want there to be a general election this year? Email “Poll: Do you want there to be a general election this year?”. Feedback on “Poll: Do you want there to be a general election this year?”.